Mike Jackson is Emeritus Professor of Geospatial Science at the University of Nottingham Geospatial Institute and a consultant in the area of geospatial intelligence. Previously: Founder and Director of the Centre for Geospatial Science, University of Nottingham; Director, Space Department at QinetiQ and CEO of Laser-Scan Holdings PLC. Mike is a non-executive Director of the Open Geospatial Consortium (OGC) and past President of the Association of Geographic Information laboratories for Europe (AGILE). He has published over 100 papers and book chapters in the areas of geographic information systems, geo-intelligence and remote sensing. 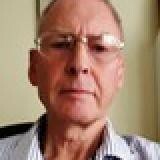 He has a PhD from Manchester University and is an FRICS and FRGS. Check out the incredible speaker line-up to see who will be joining Mike.